Just recently the NAACP nominees were announced and will be awarding those with outstanding achievements and performances of people of color in the arts. This February, the 45th annual awards ceremony will be held in Los Angeles including nominees such as Nick Cannon, Kerry Washington and many more. In past years, out of all of the celebrities nominated for the event, Tamera Mowry-Hously stood out to us. In the 43rd NAACP Awards ceremony, Tamera and her bubbly personality loved by so many, walked down the red carpet in a sleeveless silver gown made by Nicole Miller. 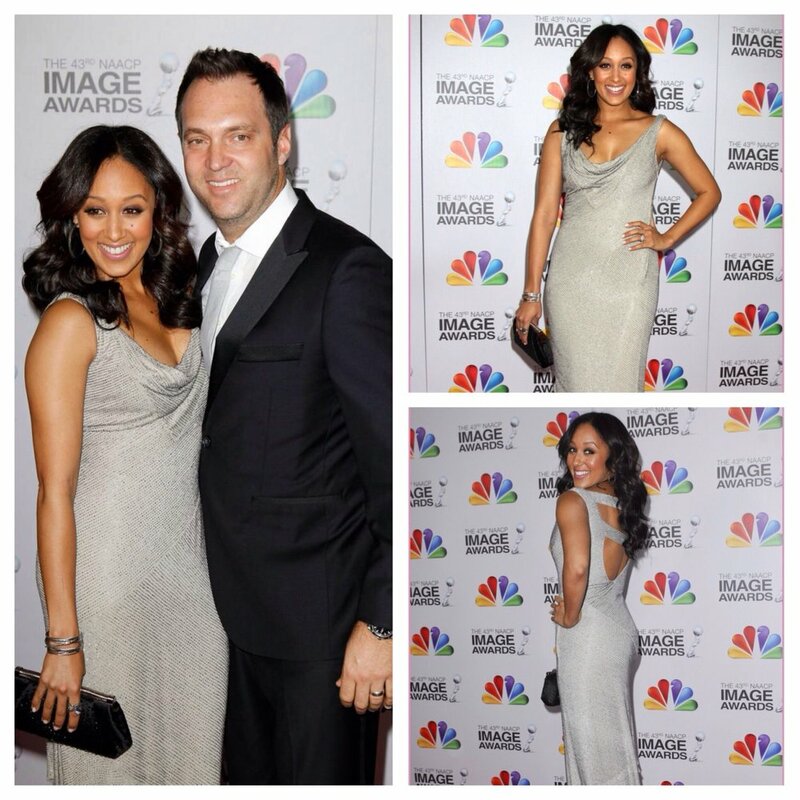 Tamera's husband, Adam Housley escorted her down the red carpet in style. We are excited to see what she will wear this year at the awards ceremony. Becoming a new mother, her style is young, vibrant and energetic whether she is at home or walking down the red carpet. Tamera also made a more casual appearance at the Elizabeth Glaser Pediatric AIDS Foundation wearing a striped maxi dress looking confident event after people disagreed with her interracial marriage with Adam Housley. She is all smiles at the event displaying confidence and strength after the controversy. We love the added blazer to add a touch of gray to cover her shoulders. She knows how to mix and match to make her outfit come together perfectly. Overall, we think they look absolutely great together and we are excited to see what is to come as they begin their beautiful family.